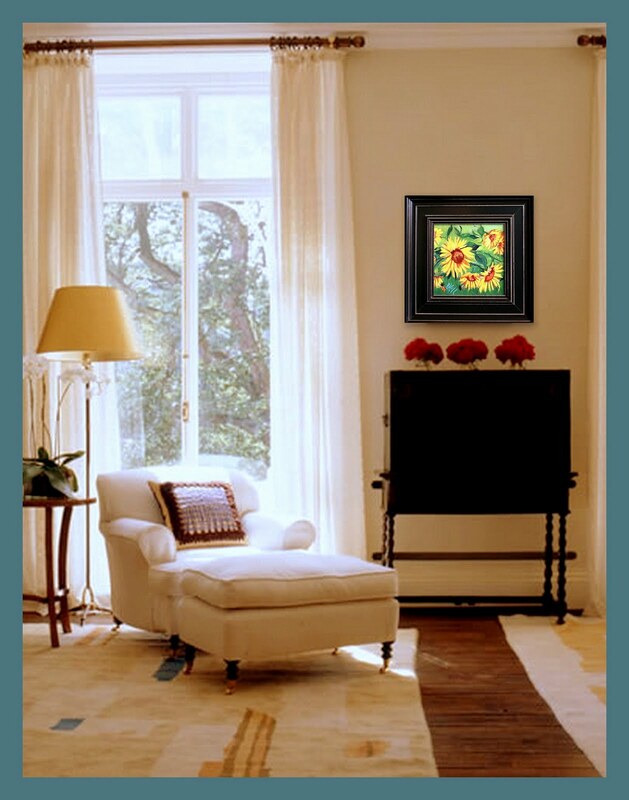 Dimples & Dragonflies Studio & Gallery LLC: "A Room With A View"
Hey Y'all ~ I've Recently Discovered "Picasa". A Free Download Photo Shop Offered By Google! This Morning I Collaged One Of My Paintings Into A Living Room Scenario Just To Show How My Work Would Look "In Place". Hope Everyone's Having A Fabulous Tuesday! Sending A Hug Of Warm Georgia Sunshine To Anyone Who May Have Visited Today! Hi Terri! I love Picasa and got really hooked on doing collages a while back. Your piece looks oh-so-bee-you-ti-ful on that wall!! I mean it literally MAKES the room, wouldn't you say??? Hi Terri...just catching up again...you are exploding!!! Your new paintings really, truly show your sweet spirit! Love♥♥♥ them! LOOKS AMAZING, but I think it should be a HOT PAYNK (that is how we say it in Texas) Wall with glitter allllllllll over it...teeeeheeee!! I was wondering where everyone was getting those home settings. I love this. Thanks for sharing. I'm going to try it. Annnnddd, love your sunflowers. It really does show how beautiful it will look in a room. Hugs! It's great to see your place, Terri! Your painting shines chering the whole room ! So lovely.